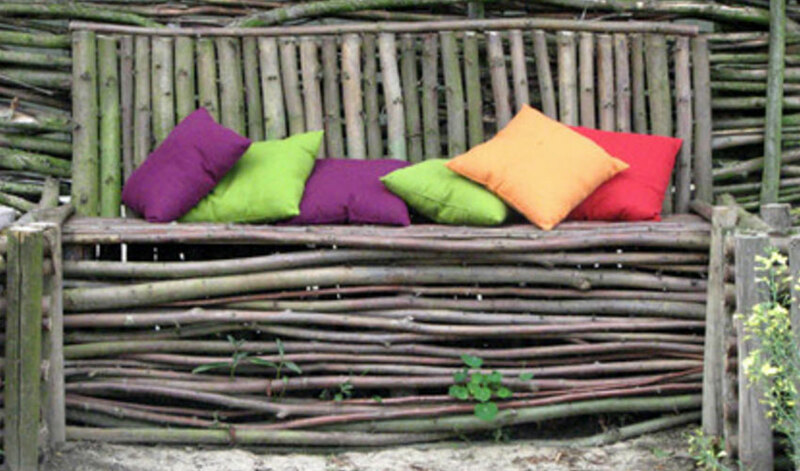 Having a unique seating area in your garden is ideal. 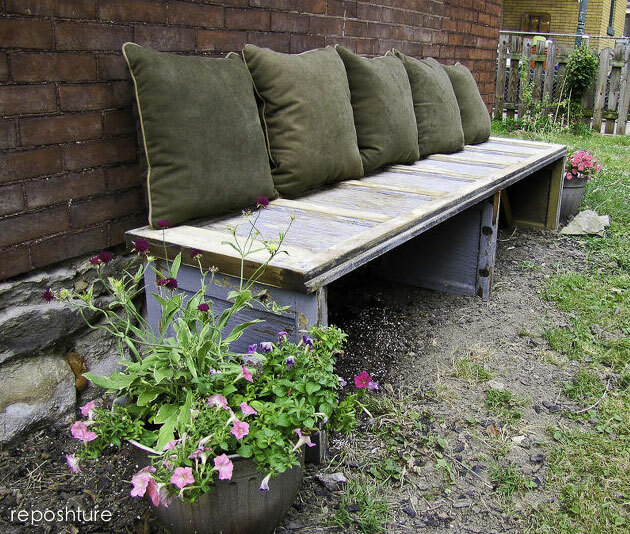 If you are looking for creative garden bench ideas, then check out these 20 DIY's that you can easily create at home. 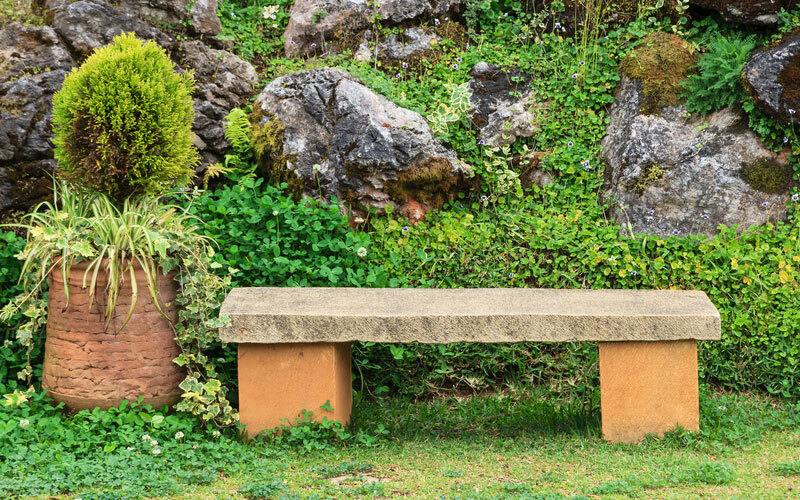 If you have a large garden at your residence, then you know how benches can enhance the design of your garden as well as give you a place to sit and enjoy your plants. A bench can be constructed out of nearly any material. 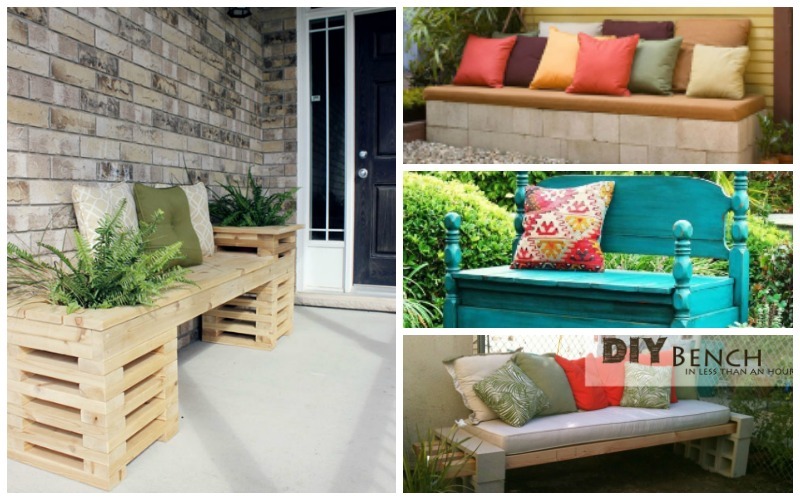 In this gallery you will see 20 DIY garden bench ideas that are made from wood, cinderblocks, stone, and even crates. The material you select is not important; it simply needs to be a design that fits the style and the décor of your existing garden. In this gallery, there are several ideas that I absolutely adore. 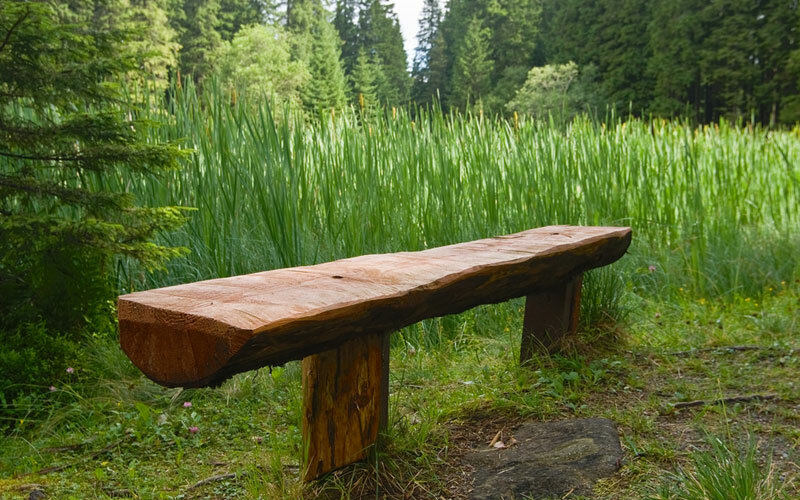 My favorite is the final entry, which is a log-style bench that is perfect to place by a fountain or a small body of water that is located within your garden. 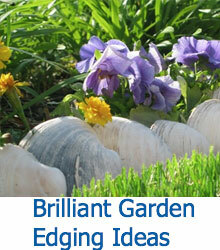 The second design idea that fits my garden style is the second one that we will explore. It is a rustic bench that reminds me of a wicker basket. 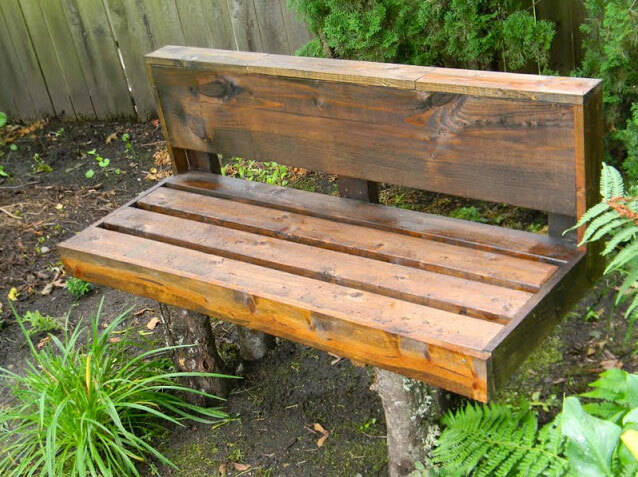 It is made from limbs and small logs that make a lovely garden bench that is unique. 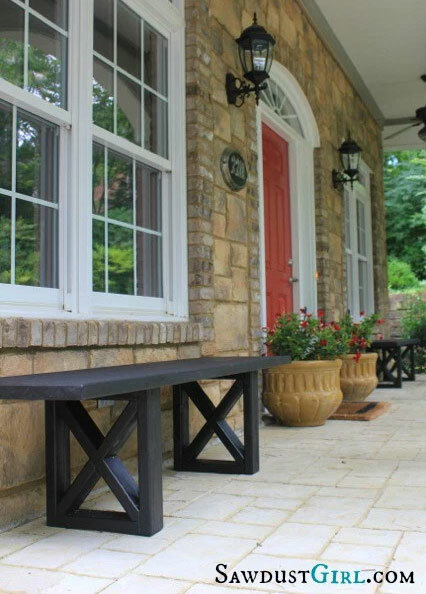 I also love the eighth idea on the list that incorporates planters into the style of the bench itself. This allows the garden to extend past the edge of the garden, which makes it seem like the bench is part of the décor, instead of an afterthought. Out of all of the ideas listed in this gallery, the only one that I would change is the 14th one. 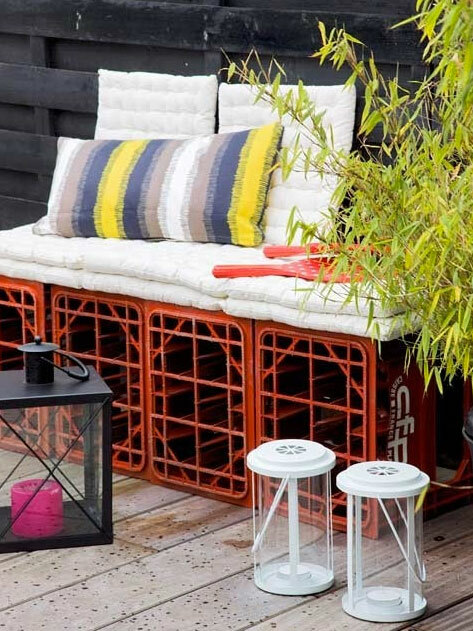 It is a great way to repurpose milk crates, but the plastic look of the container just does not fit into the décor of my garden. I prefer a wooden bench or something that looks like it belongs in nature rather than the plastic design that is featured in the gallery image. The first idea in our gallery is one that has cinderblock legs and a 4×4 seating area that is covered with a thick padded cushion. This bench will work best when it is positioned next to a wall, and include a lot of pillows to make it a comfortable place to relax. 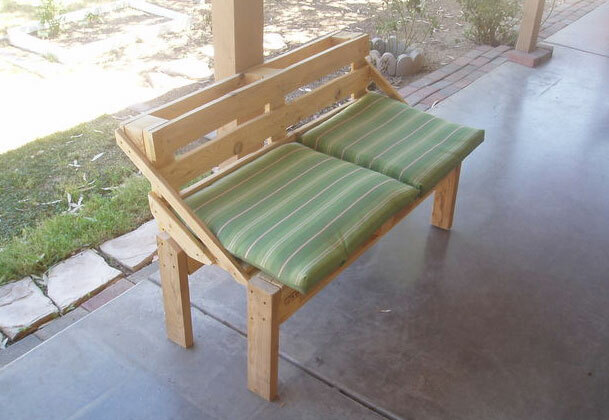 This bench idea is perfect for a garden that has a lot of wood features. The entire bench is designed from tree limbs that have been cut to size. Colorful pillows make this bench standout, and if you have the option, colorful flowers nearby will add some flair to the design. 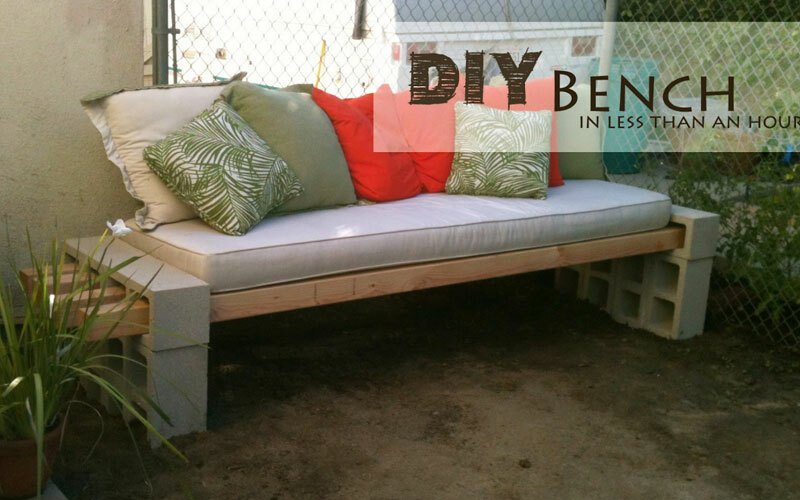 Cinderblocks are perfect planters for your garden, but using them to create a bench is a great idea as well. Utilize the holes in the cinderblocks as plant holders that bring additional beauty to your garden. 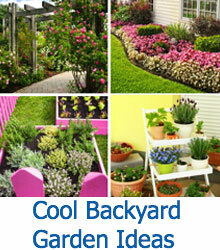 If space is small, then this idea gives you more locations to plant. This is another bench idea that originates from a pallet, but the boards are facing the opposite direction as the last design. 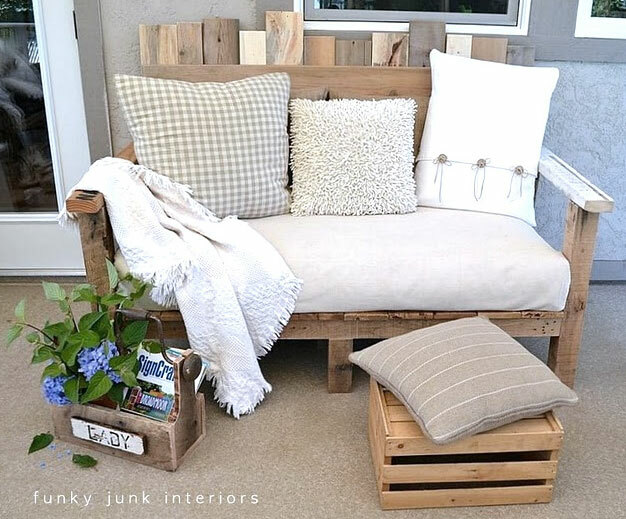 The pillow and cushion on top make the bench look extremely cozy, and the crate on the floor is perfect for propping up your feet while you enjoy the great outdoors. This bench idea is one that incorporates logs into the design. The legs of the bench are evenly cut logs, while the seating is made from smoothed out wood that is stained to add beauty to the wood. The ferns and plants near the bench add a woodsy feel to the sitting area. 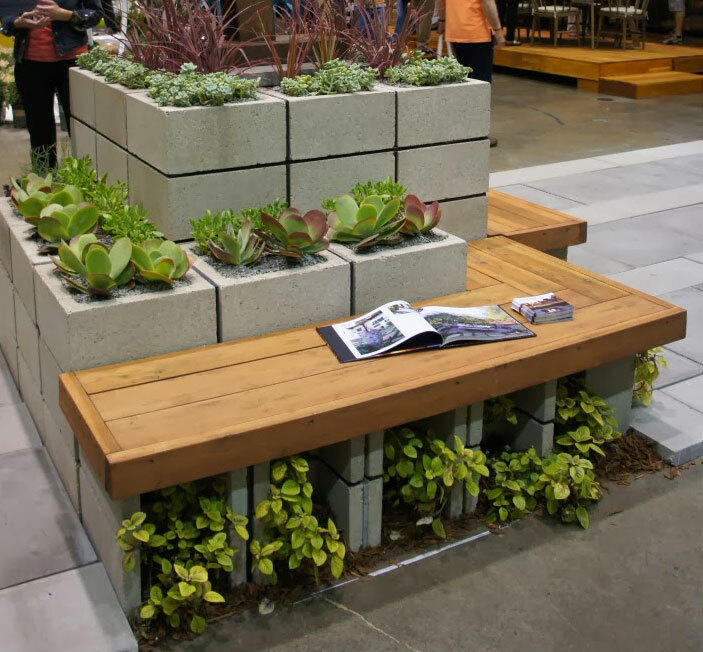 This gallery image looks like the cinderblock base once was a flowerbed that someone wanted to transform into a bench. The design is extremely sturdy, and the way that it connects to the house gives you ample back support to relax. 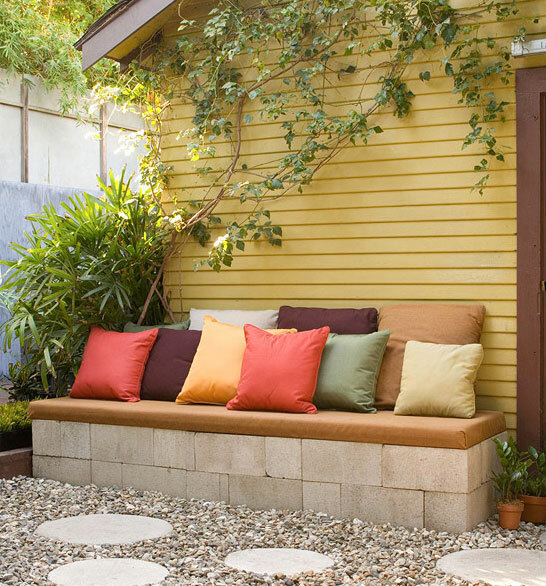 The pillows add a level of comfort and a stunning décor design to the garden. 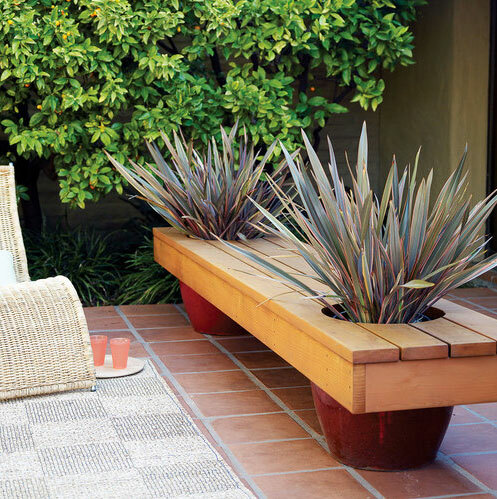 All benches have legs, but this one utilizes large planters instead. The top of the plants grow through a hole in the wooden seating area that makes the bench part of the décor, and the red planters are a subtle, yet stunning addition to the décor of the garden. This unique bench is created from planks of cedar; both sides of the bench feature a uniquely designed leg that doubles as a planter for plants to grow in. There is no back on this bench, so make sure to place it against a wall. The green pillows in this image complement the plants in the bench beautifully. 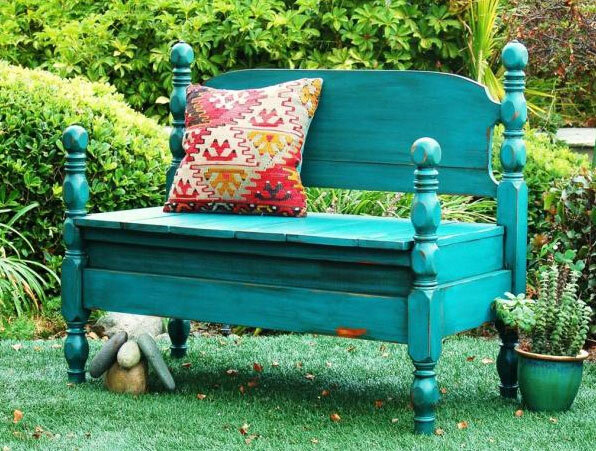 This bench is one that will add a lot of color to your garden. The base and the legs of the bench are brown, but the top is a colorful rainbow of flair that will stand out amongst your plants. 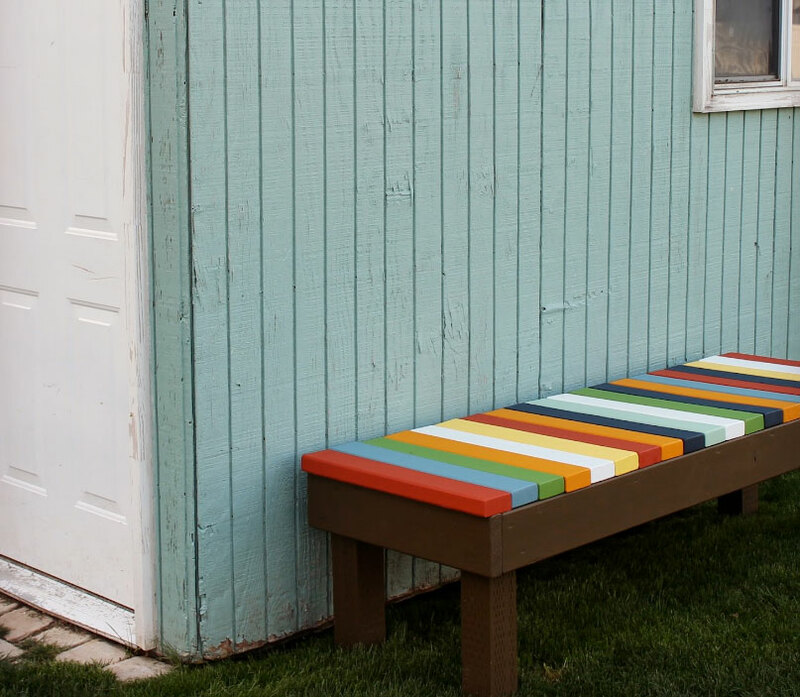 As you are creating the bench, paint the individual 2x4s any color that inspires you. This bench features a simple design that you can easily create yourself. The legs are made from 2x4s, but the design utilizes an X-shaped leg to give it stability. The seating area is a simple area that lacks back support, but it is perfect for an area that is near a garden path, a porch, or a patio. This next bench design is one that is designed to provide you with a large sitting area that is perfect for entertaining guests. The bench is designed with a box-like style that also doubles as a storage space where you can conveniently keep your outdoor equipment or your children’s toys. The next idea is one that reuses an old and worn out garage door. The panels are cut into sections that serve as the legs and a long panel is perfect for the seat. You may not want a paint chipped garage door, but it makes a lovely vintage bench. 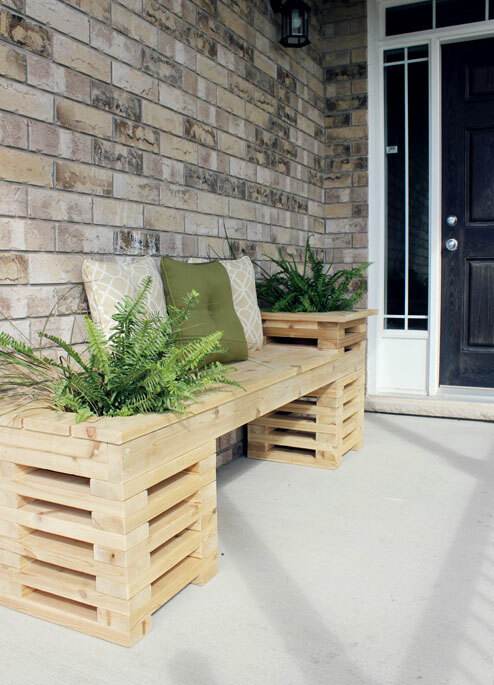 This bench is one that is designed to repurpose old milk crates that you no longer have a need for. 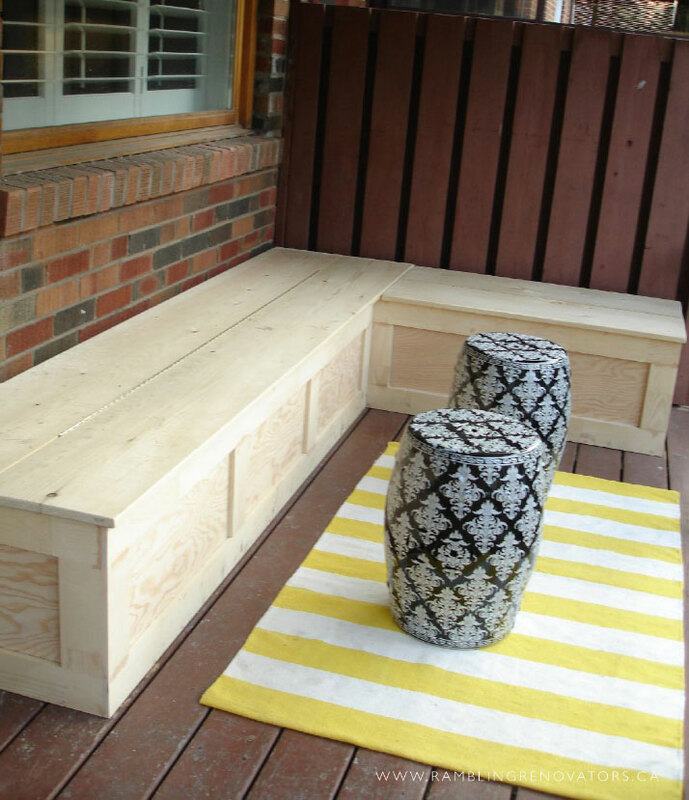 The base of the bench is designed from the crates, and the seating area is made comfortable by adding plenty of cushions and pillows to the mix. This bench is unique because it is created from an old headboard. The design incorporates the bedposts as well, which makes it look like a vintage bench that has been around for years. 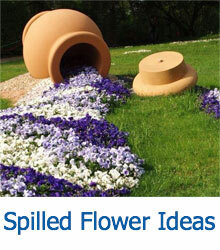 The paint is a perfect coloration for an area in your garden where spring blooms can be seen. 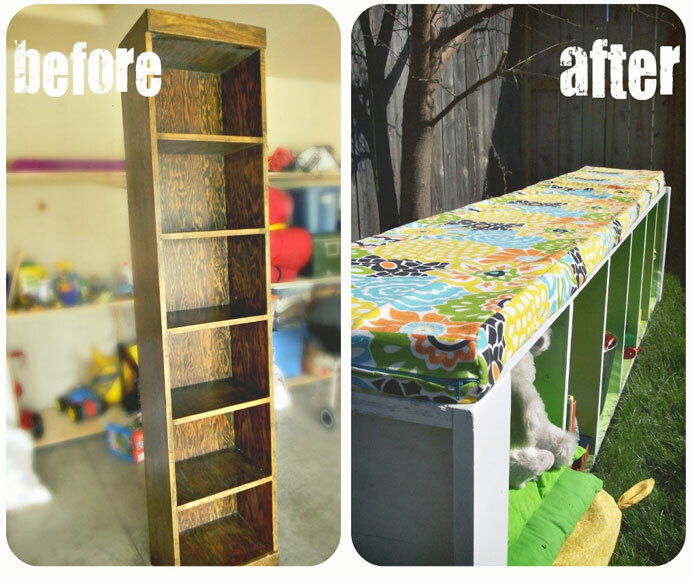 If you have an old bookshelf that you have been looking to get rid of, then this bench idea is perfect. It can be painted in any color you like and covered with a brightly colored cushion that is soft and comfortable. The individual shelves will serve as space where you can house toys for your children. The first thing that you will notice about this bench is the coloration, which is perfect for an area with a lot of green foliage. 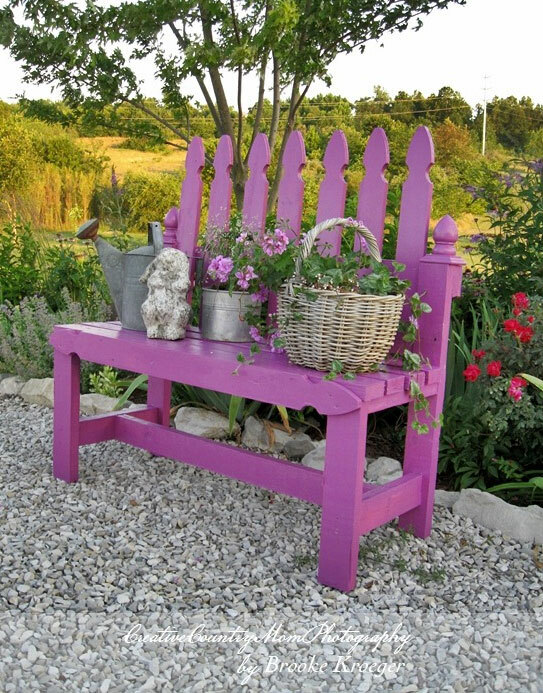 This bench is designed to look like a picket fence, so it is the perfect quaint addition to a small garden setting. 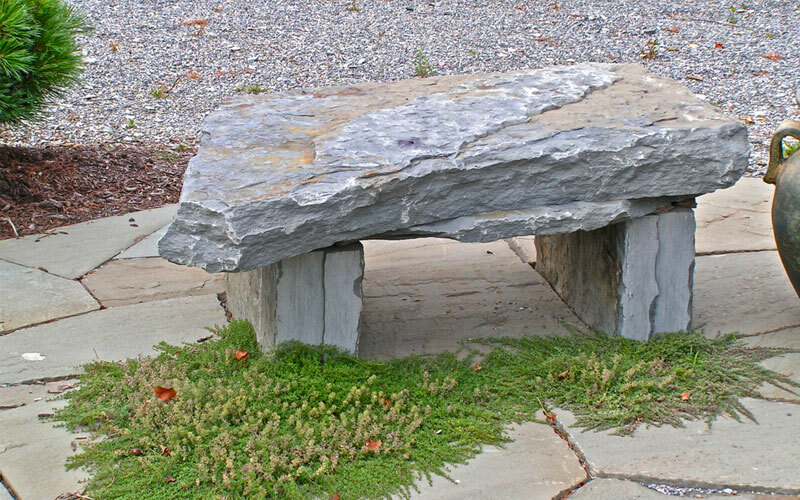 The next bench is a unique one that has a stone seating area. It is perfect for adding style to an area near a garden path, but it is not comfortable enough to sit for extended periods of time. The mossy plant under the bench makes it feel homey. The final entry in our gallery is a bench that is designed from half of a log. The log bench is against an area with high grass, but I imagine that there is a small pond nearby that makes this the perfect location to fish within your own garden.